What did we do before the days of hair tools? 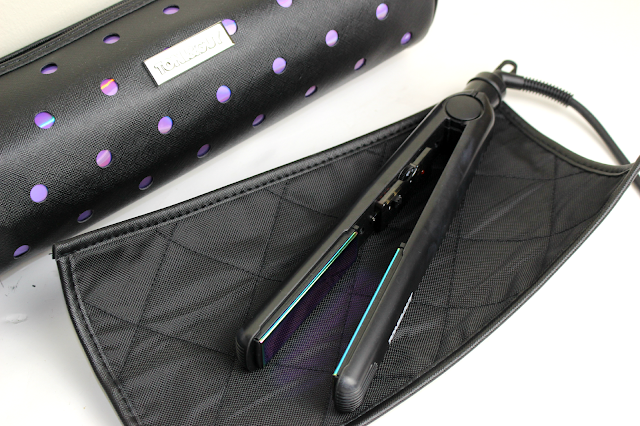 I cannot imagine a life without straighteners or being able to wave my hair with the flick of a hand! There are SO many choices out there on the market with new products being added each month - which makes it super hard ot pick the one that's right for you! 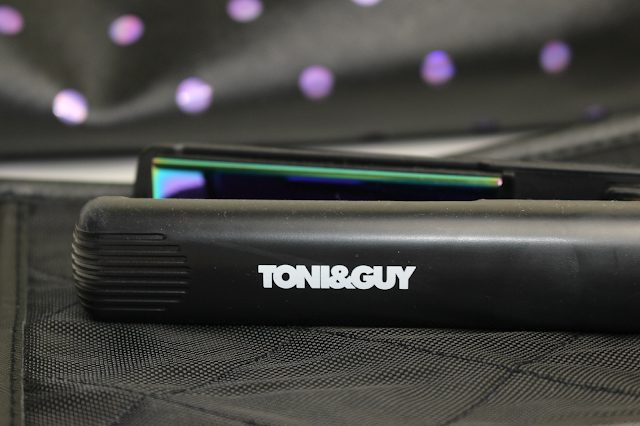 Today I'm going to be chatting all about Tony & Guy's new little beauty out there the Fluid Metal Styler*. Now you may have spotted this on my Instagram a couple of weeks ago, I just couldn't keep it's prettyiness hidden away could I? - I know lots of you commented and tweeted about it, so I've been dying to get this review up. I cannot get over how darn pretty these are. The iridescent titanium is so unique (and as pretty as a unicorn) and the plates are made for the ultimate heat transfer. Developed to smooth down the hair follicles and enhance shine these really do transform my frizzy mop into sleek and manageable locks. They come with a gorgeous heat resistant carry case and a separate quilted heat proof mat - great for travelling or if you're on the go alot. 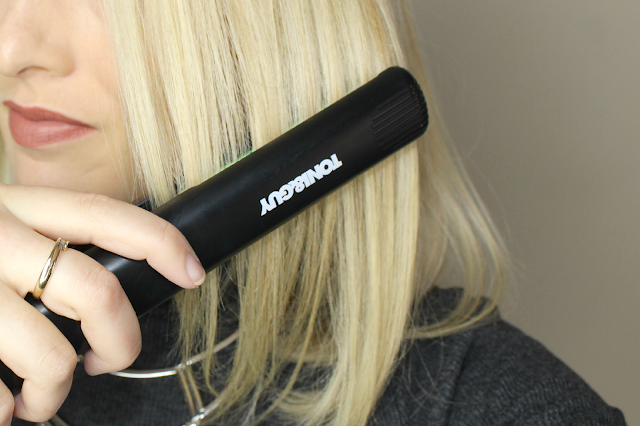 The one thing I really love about the Fluid Styler is that it has a heat dial. You can choose what heat you'd like from 80c to 200c. So if your hair is quite delicate or doesn't need alot of heat to stay put you don't have to blast it with unnecessary temperatures! 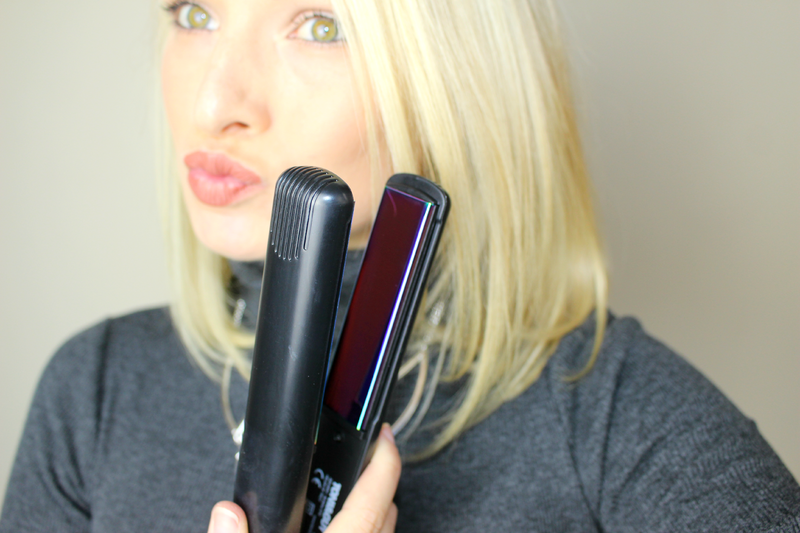 The plates glide through my hair with easy and don't leave it feeling over processed or dry (one of my pet peeves!). 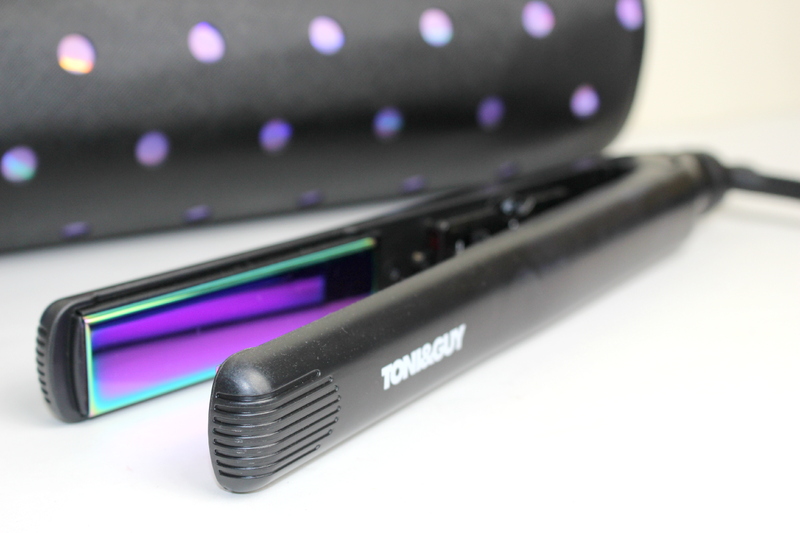 I've been used to the same pair of straighteners for 10 years so it takes alot for me to venture out of my comfort zone but these managed to persuade me. I love how easy they are to use and I've found it fairly simple to master the different styles with them too. 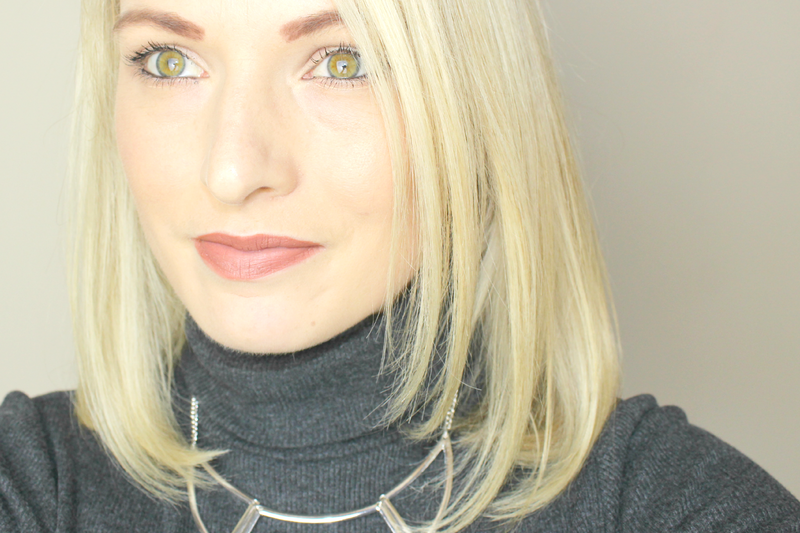 My favourite go-to look at the moment is straight with the ends curled under to create a cute long bob style, it's so easy and lasts all day. 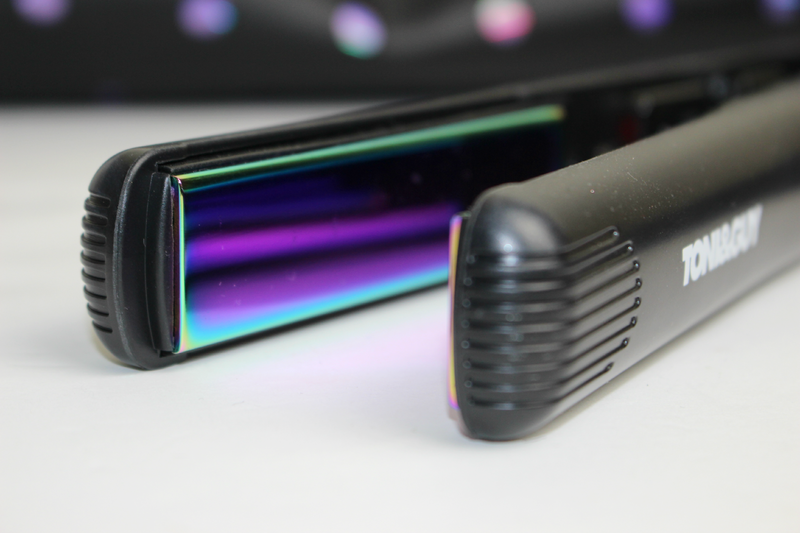 The fluid styler is priced at £90, which for what you get, the quality and the look (yes... I would happily pay for the pretty plates alone!) I think is great value... BUT, it gets better - right now at Superdrug they are HALF PRICE and only £44.99 - fab for a cheeky beauty treat for yourself, a great gift to pop on your wishlist or the perfect present for a haircare fanatic! These are gorgeous.. and such a bargain at £45! These are such a bargain and the colour is so pretty! They are SO pretty. No wonder everyone on your insta has been going mad for these! half price? NEED! they do look amazing and I love how it does everything with only 1 product!